Spring has sprung, so have the flowers, bushes, trees and other plants that bloom this time of year. It is a great time to prepare your garden for the springtime to make your home’s exterior even more inviting and while boosting its curb appeal. Clean it up. Chances are you weren’t gardening in the colder winter months, so plants may have come and gone. Remove any unwanted plants or weeds and dead leaves or debris, freshen up your beauty bark, and thoroughly clean any water features like fountains and ponds. Fertilize the gardens to nourish the soil and prepare the ground for plant growth. This will also help your plants look lush and healthy, improving your home’s curb appeal and attracting prospective home buyers to your home. 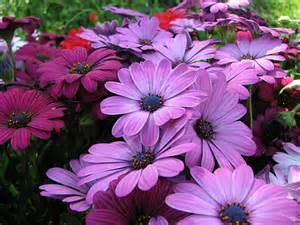 Buy some annuals to add some color to your landscaping! Annuals will supplement any spring bulbs (tulips, daffodils, hyacinths, etc.) that are already popping up and immediately give your garden a springy vibe. It will also add some welcome color and give your garden a fresh look. Give older plants some TLC. Prune back shrubs, trees and rose bushes, watching for winter damage. Be adventuresome. Try something new…a container garden for your front porch, a vegetable garden for your back yard, or add some exotic (but Pacific Northwest-friendly) plants or trees to your garden. Need ideas or recommendations? Ask an expert at your local garden center or reach out to friends on social media. There may even be a master gardener in your midst!